Washington Headquarters Services (WHS)/Acquisition Directorate (AD) Pentagon Force Protection Agency (PFPA) will host a Uniform Vendor Day on Friday, July 20, 2018 from 1:00 PM until 3:00PM. The purpose of this event is to bring innovations from potential vendors in law enforcement equipment technology to the Pentagon Police for review and consideration when developing future requirements. Vendors are invited to attend a Vendor Day Event for law enforcement professionals, hosted by the Pentagon Force Protection Agency (PFPA), Facilities, Acquisitions & Logistics Division (FALD), Pentagon Police Department (PPD), and the Washington Headquarters Services, Acquisitions Directorate (WHS/AD). There is a 25 vendor limit for attendance to this event. Priority for registration will be given to Service-Disabled-Veteran-Owned Small Businesses (SDVOSBs) and Veteran Owned Small Businesses (VOSB) that can demonstrate technological innovations. Request vendors to bring samples for officers to try on. Augustine Tantillo, National Council of Textile Organizations (NCTO) has been awarded the Chapman Award, named in honor of James A. Chapman, Sr., James A. Chapman, Jr. and Joseph W. Chapman of Inman Mills. The Chapman Award was established by the Southern Textile Association to recognize individuals for exemplary service to the textile industry. By vote of the Board of Governors, Augustine Tantillo, President and CEO of the National Council of Textile Organizations, received the Award during the STA Business Breakfast Session of the Joint Annual Meeting of the STA and Fiber Buyer Groups at The Marriott Resort & Spa at Grande Dunes in Myrtle Beach, SC. The Award was presented by Randy Blackston, Vice President of Operations, Glen Raven Custom Fabrics and Past President of STA. Augustine Tantillo was named President and CEO of the National Council of Textile Organizations (NCTO) in August 2013. NCTO is the voice of the domestic textile industry in Washington, DC. With more than 130 current members, NCTO represents manufacturers from every major sector of the U.S. textile industry, including fiber, yarn, fabric, home furnishings and vertically integrated apparel producers. 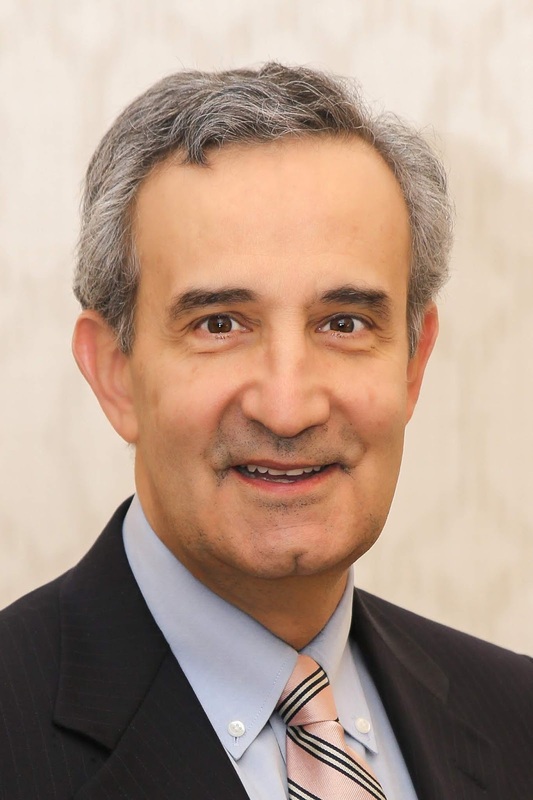 Prior to joining NCTO, Mr. Tantillo served as Executive Director of the American Manufacturing Trade Action Coalition (AMTAC) for more than 10 years. AMTAC represented U.S. producers dedicated to improving international trade policies in order to bolster U.S. investment and employment in the manufacturing sector. Mr. Tantillo began his thirty-plus year career in Washington, DC after graduating Clemson University in 1981. Other notable aspects include forming Washington consulting SRG & Associates in 1993, and an appointment by President George Herbert Walker Bush in 1989 to serve as Deputy Assistant Secretary of Commerce for Textiles, Apparel and Consumer Goods. In that position, he developed and implemented policies to enhance the international competitiveness of the U.S. textile and apparel sector, as well as major consumer goods industries. In addition, he served as chairman of the Committee for the Implementation of Textile Agreements (CITA). Prior to his appointment at the Department of Commerce, he served as Chief-of-Staff to United States Senator Strom Thurmond of South Carolina in the late 1980’s. On a personal note, Auggie was born and raised in North Augusta, SC, and is the youngest of nine children. He is married to Lisa Shuping of NC, and they have three wonderful daughters and two grandsons. On Monday, June 25, 2018, Joanna Matheson, Consumer Product Saety Commission Directorate for Health Sciences, and possibly other CPSC staff will participate in a meeting (via WebEx) with the ASTM D13.50 sub-committee for Smart Textiles 1:30 p.m. to 3:30 p.m. Eastern Time. The meeting agenda is in process and will be posted and/or available at the meeting. This meeting was requested by and organized by ASTM. Tennier Industries Inc., Delray Beach, Florida, has been awarded a maximum $9,309,281 modification (P00003) exercising the first one-year option period of a one-year base contract (SPE1C1-17-D-1090) with two one-year option periods for various designs of all-purpose parkas. This is a firm-fixed-priced, indefinite-delivery/indefinite-quantity contract. Locations of performance are Tennessee and Florida, with a June 19, 2019, performance completion date. Using military services are Marine Corps and Air Force. Type of appropriation is fiscal 2018 through 2019 defense working capital funds. The contracting activity is the Defense Logistics Agency Troop Support, Philadelphia, Pennsylvania. On June 18, 2018, the Office of the United States Trade Representative published in the Federal Register (83 FR 28306) WTO Dispute Settlement Proceeding Regarding India--Export Related Measures. On March 14, 2018, the United States requested consultations concerning certain Indian export subsidies provided through: (1) The Export Oriented Units Scheme and sector specific schemes, including Electronics Hardware Technology Parks Scheme, (2) the Merchandise Exports from India Scheme, (3) the Export Promotion Capital Goods Scheme, (4) Special Economic Zones, and (5) a duty-free imports for exporters program. The parties failed to reach a mutually satisfactory resolution to this dispute. On May 17, 2018, the United States requested the establishment of a panel. The Dispute Settlement Body considered this request at its meeting of May 28, 2018, and established a panel to consider this dispute. The United States alleges that India is providing prohibited export subsidies contrary to Articles 3.1(a) and 3.2 of the Agreement on Subsidies and Countervailing Measures. USTR invites written comments concerning the issues raised in this dispute. Original Footwear LLC, Arecibo, Puerto Rico, has been awarded a maximum $10,393,386 modification (P00019) exercising the third one-year option of a one-year base (SPE1C1-15-D-1067) with three one-year options for men's and women's leather dress shoes. This is a firm-fixed-price, indefinite delivery/indefinite-quantity contract. Locations of performance are Puerto Rico and Michigan, with a June 16, 2019, performance completion date. Using military service is Navy. Type of appropriation is fiscal 2018 through 2019 defense working capital funds. The contracting activity is the Defense Logistics Agency Troop Support, Philadelphia, Pennsylvania. M&M Manufacturing LLC, Lajas, Puerto Rico, has been awarded a maximum $25,552,591 modification (P00140) exercising the fourth one-year option period of a one-year base contract (SPE1C1-14-D-1048) with four one-year option periods for various types of Navy working uniform blouses and trousers. The modification brings the maximum dollar value of the contract to $82,243,090 from $56,690,499. This is a firm-fixed-price, indefinite-delivery/indefinite-quantity contract. Location of performance is Puerto Rico, with a June 15, 2019, performance completion date. Using military service is Navy. Type of appropriation is fiscal 2018 through 2019 defense working capital funds. The contracting activity is the Defense Logistics Agency Troop Support, Philadelphia, Pennsylvania. In HQ H235569, NY N179138, NY N230128 and NY N204304, CBP classified the bottle bags in heading 4202, HTSUS, specifically in subheading 4202.92.90, HTSUS (now subheadings 4202.92.91, HTSUS and 4202.92.97, HTSUS), which provided for " ... traveling bags, insulated food or beverage bags, toiletry bags, knapsacks and backpacks, handbags, shopping bags, wallets, purses, map cases, cigarette cases, tobacco pouches, tool bags, sports bags, bottle cases, jewelry boxes, powder cases, cutlery cases and similar containers, of leather or of composition leather, of sheeting of plastics, of textile materials, of vulcanized fiber or of paperboard, or wholly or mainly covered with such materials or with paper: Other: With outer surface of sheeting of plastic or of textile materials: Other: Other." CBP is proposing to revoke HQ H235569 and NY N179138, and modify NY N230128 and NY N204304, and to revoke or modify any other ruling not specifically identified to reflect the analysis contained in the proposed HQ H273867, set forth as Attachment E to this notice. Additionally, pursuant to 19 U.S.C. § 1625(c)(2), CBP is proposing to revoke any treatment previously accorded by CBP to substantially identical transactions. Before taking this action, consideration will be given to any written comments timely received. Comments must be received on or before July 6, 2018. The subject merchandise consists of non-woven polypropylene bags that contain two handles and have open tops. These bags measure approximately nine and a half inches in width and 10 inches in height. When open, they have a depth of approximately seven inches. The bag's handles are also composed of polypropylene and contain a fastener of polypropylene with hook and loop fastener to keep the handles together. The bottom of the subject bags is composed of two layers of polypropylene fabric with padding inserted in between. The top of the bags contains a small loop of polypropylene to allow the bags to be hung so as to be displayed for sale. The inside of the bags is divided into six equally sized compartments by polypropylene dividers. Each compartment measures approximately five inches in width and nine inches in length when closed and can expand to fit the bottles inserted therein. The exterior of the bags contains a tri-colored printed design containing grapes and grape leaves. The logos of 13 grocery stores appear below the design. These bags are sold or distributed free of charge at stores that sell food and beverages, such as grocery stores, liquor stores, convenience stores, and wineries. Furthermore, the importer, Earthwise, almost always sells them with the names or logos of the stores that distribute them, and its competitors follow a similar practice. At issues is whether bags that contain compartments sized to hold bottles are classified as "shopping bags" of subheading 4202.92.30, HTSUS, or as "bottle cases or similar containers" of subheading 4202.92.90, HTSUS, in accordance with Additional U.S. Note 1 to Chapter 42, HTSUS. For the purposes of heading 4202, the expression "travel, sports and similar bags" means goods, other than those falling in subheadings 4202.11 through 4202.39, of a kind designed for carrying clothing and other personal effects during travel, including backpacks and shopping bags of this heading, but does not include binocular cases, camera cases, musical instrument cases, bottle cases and similar containers. The Harmonized Commodity Description and Coding System Explanatory Notes ("ENs") constitute the official interpretation of the Harmonized System at the international level. While neither legally binding nor dispositive, the ENs provide a commentary on the scope of each heading of the HTSUS and are generally indicative of the proper interpretation of these headings. See T.D. 89–80, 54 Fed. Reg. 35127, 35128 (August 23, 1989). The EN to heading 4202, HTSUS, states, in pertinent part, the following: "This heading covers only the articles specifically named therein and similar containers." The importer argued that, in accordance with lexicographic sources and judicial definitions in a number of cases, the instant merchandise is a "shopping bag" as named in Additional U.S. Note 1, and therefore is classified as a type of "travel, sports or similar bag," in subheading 4202.90.30, HTSUS. In support of this argument, they cite HQ 963575, dated October 12, 1999, HQ 964450, dated August 8, 2002, HQ 951113, dated May 19, 1992, HQ 957917, dated July 7, 1995, HQ 950708, dated December 24, 1991, and HQ 088562, dated December 5, 1991. Lastly, they argue that because the subject merchandise is classified as shopping bags of subheading 4202.92.30, HTSUS, and are made of polypropylene fabric, they are also classified in subheading 9902.92.30, HTSUS, and are accorded duty-free treatment under this provision. In response, CBP notes that Totes, Inc. v. United States, 69 F.3d 495; 1995 U.S. App. LEXIS 29841; 17 Int'l Trade Rep. (BNA) 1929 (Ct. Int. Trade 1995), decided the classification of a rectangular case used to organize and store items such as motor oil, tools, and jumper cables in an automobile trunk. It had a zippered top opening, two straps at the sides which formed handles, and reinforced bottom seams. The case's interior was divided into three discrete storage areas using dividers that snapped into place. Totes, Inc., 69 F.3d at 496. There, the court found that heading 4202, HTSUS, is an eo nomine provision, as is subheading 4202.92.90, HTSUS. Furthermore, the court found that the subject case's interior dividers made it more than a general carrying case that could carry any merchandise. Hence, the court found for classification in subheading 4202.92.90, HTSUS, as "similar to" jewelry boxes and cutlery cases, whose purpose was to facilitate an organized separation, protection, storage or holding of their contents. Id. at 497, 500. Furthermore, the court stated that "as applicable to classification cases, ejusdem generis requires that the imported merchandise possess the essential characteristics or purpose that unite the articles enumerated eo nomine in order to be classified under the general terms." Id. at 498. The court found that the rule of ejusdem generis requires only that the subject merchandise share "the essential characteristics" of the goods listed eo nomine in heading 4202, HTSUS, and that these characteristics were those of "organizing, storing, protecting, and carrying various items." Id. at 498. Subsequent CBP rulings have adhered to this analysis, and have classified bags and cases with fitted or divided interiors with the items in heading 4202, HTSUS, to which they are most akin. See, e.g., HQ H053756, dated September 4, 2009; HQ H064875, dated January 4, 2010; HQ 956140, dated October 29, 1994; HQ 086884, dated August 13, 1990. These rulings are consistent with prior CBP rulings on substantially similar merchandise. See NY N230128; NY N224243; NY N219153; NY N204304; NY N179138; NY N093287; NY N104559. In the present case, while CBP agreed with counsel that an eo nomine provision such as heading 4202, HTSUS, covers all forms of the subject merchandise, CBP disagreed that the subject bottle bags should be classified in the same provision as "shopping bags." The subject bottle bags can be distinguished from the type of general shopping bags of the cases to which counsel cites. The shopping bags of Adolco Trading Co., 71 Cust. Ct. 145; 1973 Cust. Ct. LEXIS 3350; Cust. Dec. 4487 (1973), for example, were of a large size, and had wide open tops and handles. However, they contained no internal divisions, and as such were almost always used in grocery stores and similar places where customers could use them to transport any type of merchandise. See Adolco Trading Co., 71 Cust. Ct. 150–1511. The subject bags, by contrast, are no longer capable of carrying any type of merchandise because of their fitted interior compartments, which are in the shape of bottles. Furthermore, these compartments are sewn into the subject bags, making their removal impractical. A dual use as bottle bags and as bags for carrying more general merchandise is therefore impossible. As such, the subject bottle bags are more akin to the bags of Totes, Inc. and those of the rulings cited above, whose fitted interior compartments spoke in favor of a specific use other than as a shopping bag of subheading 4202.92.30, HTSUS. The instant merchandise is more akin to the types of bottle bags which CBP has previously classified as "other" types of bags of subheading 4202.92.90, HTSUS. See, e.g., NY N230128, dated September 5, 2012; NY N224243, dated July 13, 2012; NY N219153, dated June 19, 2012; NY N204304, dated March 9, 2012; NY N179138, dated August 24, 2011; NY N093287, dated March 9, 2010; NY N104559, dated May 14, 2010.2 Moreover, HQ 963222, dated August 19, 1999, and HQ 960403, dated August 1, 1997, classified bottle bags similar to the merchandise at issue here as other than travel, sports, or similar bags. Furthermore, in light of the court's conclusion in Totes, Inc. that heading 4202, HTSUS, and specific subheadings therein are eo nomine provisions, CBP found the importer's argument that the provision for "shopping bags" within heading 4202, HTSUS, is a use provision to be untenable. In addition, courts have held that "a 'use' provision is 'a provision describing articles by the manner in which they are used as opposed to by name'." See Pomeroy Collection, Ltd. v. United States, 32 C.I.T. 526, quoting Len-Ron Mfg. Co. v. United States, 334 F.3d 1304. Courts have also held that certain phrases within the provision require that it be construed as a use provision; such phrases include "to be used for," "to be used as," and "for use in." See Clarendon Mktg v. United States, 955 F.Supp 1501, (Ct. Int’l Trade 1997), aff'd 144 F.3d 1464, 1467 (Fed. Cir. 1998); Czarnikow-Rionda Co. v. United States, 66 Cust. Ct. 431, 328 F. Supp. 487 (1971), aff'd 60 C.C.P.A. 6, 468 F.2d 211 (1972); J. E. Bernard & Co., Inc. v. United States, 80 Cust. Ct. 111 (1978). In the present case, heading 4202, HTSUS, describes its merchandise by name rather than use and does not contain any of the phrases that would indicate that it is a use provision. To the contrary, heading 4202, HTSUS, is clearly an eo nomine provision. As such, CBP found that the Carborundum factors, which the importer cited and discuss in detail, are inapplicable here. If they were applied here, the Carborundum factors would likely support use of the subject merchandise as similar to bottle cases, rather than as a general shopping bag. Furthermore, the subject bags can be distinguished from those of the rulings counsel cites in favor of classification as "travel, sports or similar bags." Headquarters Ruling letters (HQ) 964450, dated August 8, 2002, HQ 951113, dated May 19, 1992, HQ 957917, dated July 7, 1995, HQ 950708, dated December 24, 1991, and HQ 088562, dated December 5, 1991, all classified bags without any interior pockets or compartments; these open interiors could have carried any merchandise. In HQ 963575, dated October 12, 1999, CBP classified bags with drawstrings that were specifically designed and fitted to hold a sleeping bag as "travel, sports or similar bags." These bags contained no interior compartments, but to the extent that they were fitted for specific merchandise, it was not in the same way that the subject bags are specifically fitted for multiple bottles, thereby precluding the ability to carry other articles. As such, CBP found that the subject bags are not "travel, sports or similar bags." Therefore, CBP found that the subject bottle bags are classified in subheading 4202.92.90, HTSUS, as "Trunks, suitcases, vanity cases, attache cases, briefcases, school satchels, spectacle cases, binocular cases, camera cases, musical instrument cases, gun cases, holsters and similar containers; traveling bags, insulated food or beverage bags, toiletry bags, knapsacks and backpacks, handbags, shopping bags, wallets, purses, map cases, cigarette cases, tobacco pouches, tool bags, sports bags, bottle cases, jewelry boxes, powder cases, cutlery cases and similar containers, of leather or of composition leather, of sheeting of plastics, of textile materials, of vulcanized fiber or of paperboard, or wholly or mainly covered with such materials or with paper: Other: With outer surface of sheeting of plastic or of textile materials: Other: Other." This conclusion is consistent with prior CBP rulings on substantially similar merchandise. See NY N230128; NY N224243; NY N219153; NY N204304; NY N179138; NY N093287; NY N104559. Lastly, the importer submitted laboratory results showing that the durability, volume, machine washablility, lack of lead or other toxic materials, and other characteristics are the same for the instant merchandise as they are for shopping bags. The cited laboratory results do nothing to minimize the differences between the subject bottle bags and general shopping bags. As such, these results are not relevant to our analysis. Therefore, because the subject merchandise is not described as a shopping bag of subheading 4202.92.30, HTSUS, it cannot be accorded duty-free treatment under subheading 9902.40.01, HTSUS. The U.S. Consumer Product Safety Commission ("CPSC") has received a resubmitted petition from the National Floor Safety Institute (petitioner or "NFSI"), requesting that the agency require manufacturers of floor coverings and coatings to label their products and provide point of purchase information regarding slip-resistance, using the American National Standards Institute ("ANSI") B101.5-2014 Standard Guide for Uniform Labeling Method for Identifying the Dynamic Coefficient of Friction (Traction) of Floor Coverings, Floor Coverings with Coatings, and Treated Floor Coverings (ANSI B101.5). The Commission invites written comments concerning this petition. As with the previous petition, NFSI states that it seeks to reduce injuries and fatalities related to consumer slips and falls, particularly involving the elderly, by requesting CPSC to mandate that floor coverings for sale to consumers be labeled to provide information about the traction of each product. NFSI states that different types of floor coverings have wide ranging differences in slip-resistance, which can make certain types of flooring inappropropriate for a specific use. NFSI contends that currently, consumers have no uniform information to compare differences in traction with various floor covering options. NFSI states that the labeling it urges is easy to understand and will benefit consumers, particularly the elderly, by informing consumers of the traction or safety of the products at the point of sale. On May 1, 2018, at the University of Massachusetts at Dartmouth, family and colleagues of the late Professor Kenneth Langley gathered to announce an annual award for excellent commitment and service to the department and the university in memory of Professor Langley. Langley was an alumnus of UMass Dartmouth and a faculty member of UMass Dartmouth for more than 43 years. He was committed to teaching textiles, materials and statistics. He worked as the graduate program director for more than 18 years, served as an active academic advisor at the Academic Advising Center. He also served as the Technical Director of ATMC (now CIE) for two years. Outside University, Prof. Langley was a Fellow of the Textile Institute and a Charted Textile Technologist. He was a well-known fiber identification expert, especially for animal hairs such as cashmere and camel hair. He was the secretary of committee RA 24 Fiber Analysis Test Methods, American Association of Textile Chemists and Colorists. He was also a life member of International Textile Education Consortium, a member of USA Technical Advisory Group for ISO/TC38 - Textiles. Prof. Langley published more than 25 peer-reviewed journal and conference papers, 22 technical reports and professional manuscripts including one book chapter. While his technical work is impressive, it is Prof. Langley's committed service to the university was celebrated. At the University level he was an active member of the Academic Advising Center, and the President of the Faculty Senate. At the College of Engineering level, he was a member and chair of the College Academic Council, and more importantly he was the founding department chair of Bioengineering for the academic year 2011 to 2012. Prof. Langley was instrumental in the development of the new Bioengineering program as the department transitioned from materials and textiles. His colleagues have established an award for a Bioengineering student who demonstrates the same passion for the department, and shows a strong commitment to promoting the bioengineering program. This year's inaugural Prof. Kenneth D. Langley Memorial award was presented to Sadeq Taha. Sadeq is a Bioengineering senior who has conducted admissions tours daily including many weekends and holidays for the Bioengineering Department and the College of Engineering. He has promoted the department at open houses, and has reached out to the community and introduced engineering to youth. His excitement and passion for Bioengineering is evident as he speaks with his guests, similar to the passion Prof. Langley had for Bioengineering. Maryann Langley and Philip Langley presented the award.